Here’s what happens when you quantify blogging efforts based on number of posts. I heard a consistent trend after talking to 10 agency leaders at Hubspot’s Partner Day: Measure Results, not Output. As a marketer, you know this is a TERRIBLE way to measure marketing. Who knows if these activities will actually lead to quality prospects? And the more pressure you have on producing output, the less research and creativity goes into each thing you do. But, if the marketing data doesn’t make sense, the boss has no option but to form judgement based on what they currently understand and it’s easy to measure people on their output. Unfortunately, when the bottom of the funnel is still empty months later, the boss or your client won’t be the one to blame. Whether you like it or not, you’ll be the one to take the fall. One blogger, Neville Medhora, took this idea to its logical conclusion. He wanted to double his daily traffic by the end of the year. But, he wanted to do this in the cheapest and easiest way possible. 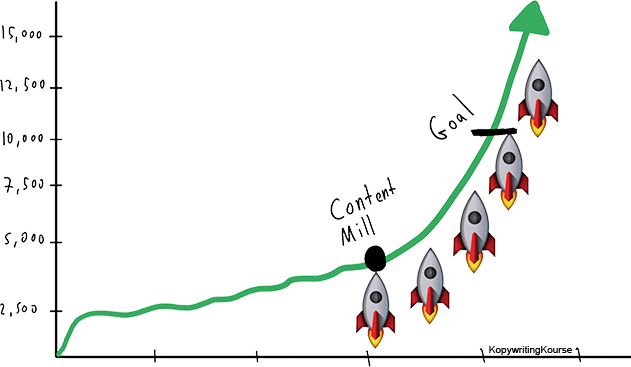 So, he hired an army of contract writers from Fiverr to build him a good ‘ol content factory. First, he paid an SEO consultant $5 to find a list of keywords to target. Then, he paid for 50 gigs on Fiverr to build content around these topics. He ended up with 50 blogs for a grand total of $445.25 within a week. If he could get free ongoing organic traffic for just over 400 bucks, then he had struck digital gold! He launched these blogs, and waited for the traffic to roll in. His process was simple, repeatable, cheap and quick. Of course, these posts were low quality. But if even a few of them began to rank highly, he could justify the cheap investment. Unfortunately, it ended up being a waste of time. Some of the blogs even had bounce rates of 100%! Not only did the posts rank poorly, but the visitors were unwilling to take any further action after reading the blogs. See his full results. So, next time your client or boss asks you to start increasing the number of blogs to drive leads, warn them about the consequences! While it’s tempting to set a goal for volume of blog posts, try setting a goal for traffic and leads instead. Ultimately, you’ll want to publish a high volume of high quality content on your site in order to grow organic search traffic. But, in the short term, a solid social media or guest-blogging strategy might be a better way to hit your goals. For instance, one guest post we published last month produced more sign-ups for us than all our blog posts combined. But if you do pick up your blogging efforts, make sure you’re measuring the metrics that matter. Monitor the number of subscribers you’re getting, the pageviews and leads you’re getting from each post. 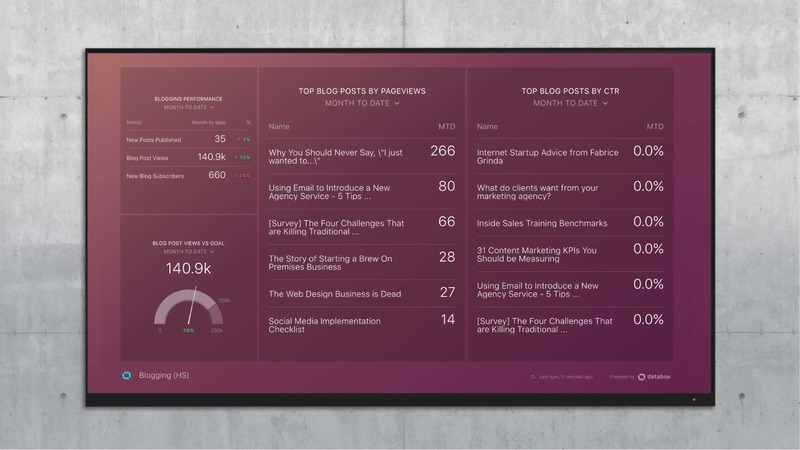 If you’re a HubSpot user, here’s a blogging performance dashboard that’ll help you do just that.